Typhus is a bacterial infection that is carried by fleas. Galveston County has seen a surge in typhus infections in 2018. There have been 18 cases of murine typhus reported in the county this year and only 16 cases reported in all of 2017. But typhus is a growing statewide problem. 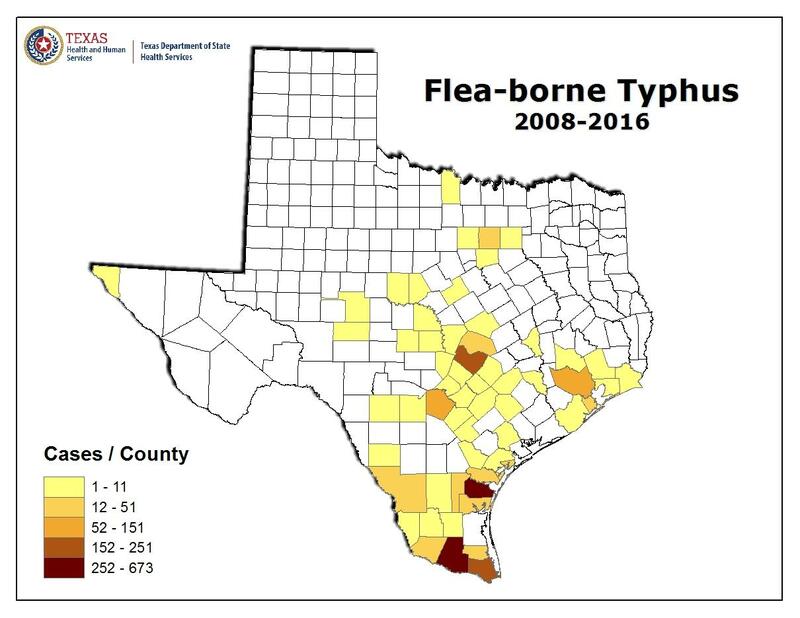 Between 2008 and 2016, there has been a marked increase in typhus cases in several Texas counties, including Bexar, Travis, Hidalgo, Nueces, and Cameron counties. Murine typhus is carried by possums and rodents. It is transmitted to humans by the fleas that those animals host. Dr. Tim Anderson, a parasitic diseases researcher at Texas Biomedical Research Institute, said that makes Typhus a classic example of a zoonotic disease that is “spilling over” into the human population. And, he added, the populations hardest hit by Typhus also seems to be changing. "One of the interesting things here is that, classically, this is a disease of sort of quite poor communities and impoverished areas. My impression is it's now a disease that's now seen in affluent areas, as well," he said. Anderson said the increase in diagnosed cases might be linked to doctors looking for typhus specifically, but he doesn't think so. 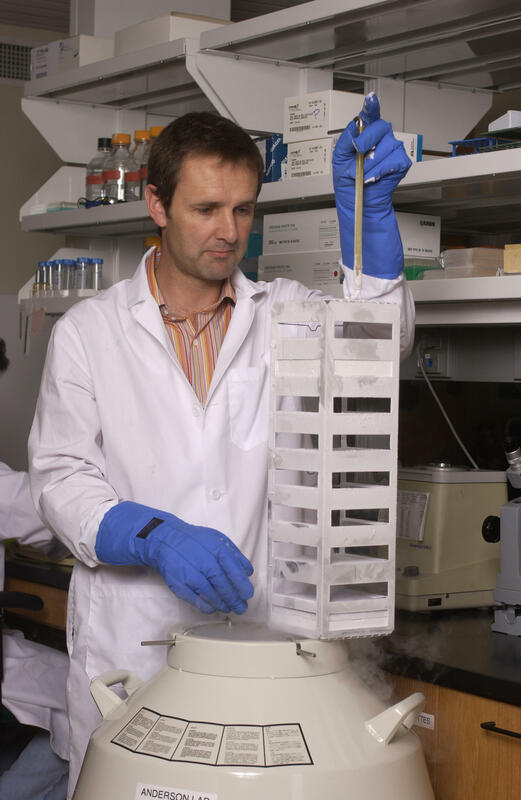 Dr. Tim Anderson, a parasitic diseases researcher at Texas Biomedical Research Institute. "This seems to be a genuine increase in the incidence of disease,” Anderson said. “So what is causing this, I don't think we know. Whether it's global warming, whether it's changes in opossum populations or rodent populations, I think that's yet to be understood." State health department spokesman Chris Van Deusen said understanding how the disease is transmitted to humans is the key to keeping it from spreading. Van Deusen said that if homeowners plan to trap or kill rodents, or other disease carrying animals, they should treat for fleas first. He said if the host of disease-carrying fleas dies before they do, they'll be looking for a new host, and it could be a human. 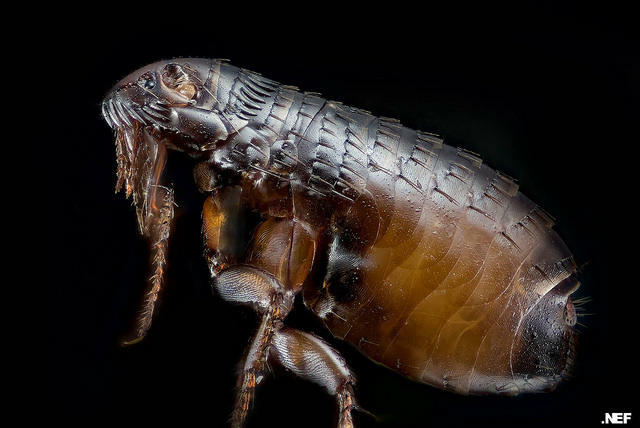 While typhus cannot be transmitted to dogs or cats, Van Deusen said household pets should also be treated for fleas to keep them from carrying in diseases typically only found in nature. The state health department issued a typhus alert this year, urging doctors to look for symptoms of the bacterial infection, including fever, headache, muscle pain, anorexia, rash, nausea and vomiting.